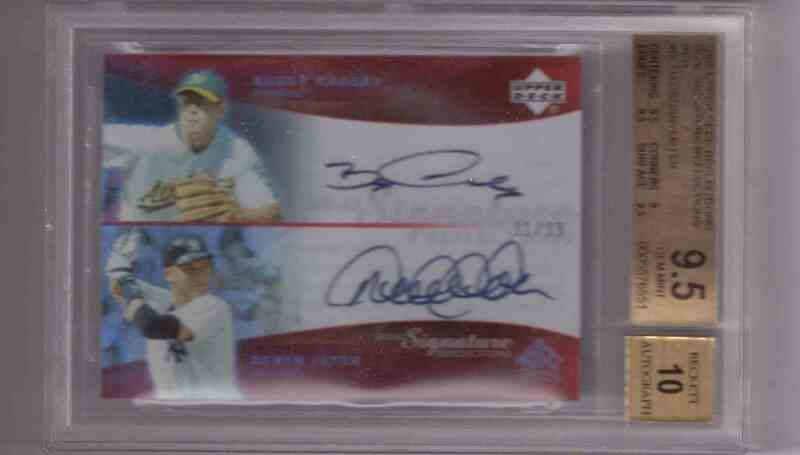 This is a autographed Baseball trading card of Derek Jeter Booby Crosby Auto, New York Yankees. It comes from the 2005 Upper Deck set, card number BCDJ. It is graded 10.0 by BGS. It is for sale at a price of $ 350.00.